The oral contraceptive pill, often called the Pill, is a reliable and convenient form of contraception for many women. The combined oral contraceptive pill (COC) contains two hormones, oestrogen and progestogen. They stop your ovaries making eggs. COC takes over your monthly cycle so can be useful for period problems as well as contraception. Each pack usually contains 21 days, or three weeks, of active pills and seven days, or one week, of non-active sugar pills. During the non-active sugar pill week, you'll bleed much the same as if you were having a period, but it will usually be lighter than your normal period. You can safely miss taking the non-active pills to avoid having bleeding. The COC is very good at stopping pregnancy (at least 92% effective and up to 99% effective if taken correctly). Most women can use COC, but it may not be suitable if you have some medical conditions such as DVT (blood clots), migraines, if you're a smoker over 35 years old, or if you're overweight. The COC is very safe but can cause minor problems such as nausea, breast tenderness, and headaches. The COC slightly increases your risk of DVT (blood clots) which can be serious. See your GP or Family Planning Clinic to find out if the COC is right for you. 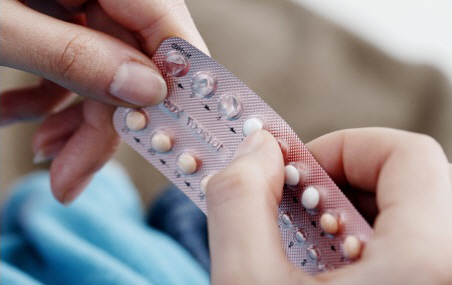 This page explains the combined oral contraceptive pill, which contains both progestogen and oestrogen. Printable table to use when deciding what type of short-acting hormonal contraception might suit you.